Timeless beauty at affordable prices. Made with durable, standard gauge steel, the Stratford Collection is a great classic door with the Amarr Safe Guard system. Durable and low-maintenance doors available in over 150 door designs. 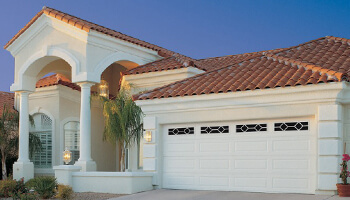 The Amarr Heritage Garage Door Collection features the Amarr Safe Guard system and care-free, low maintenance. Great looks for years to come. 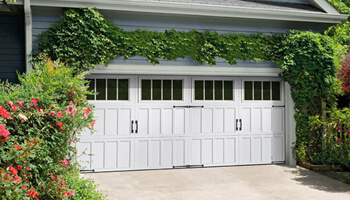 Amarr Heritage Garage Doors are available in over 150 door designs. With Amarr's Oak Summit Garage Door Collection, it won't. Amarr's most affordable carriage house garage door, built with the Amarr Safe Guard system. Available in over 70 attractive garage door designs. From a distance, you see wood. Up close, it's strong, low-maintenance steel. Precision-shaped garage doors in fresh, clean, classic carriage house styles that go up and down like traditional garage doors. Three-section tall designs, instead of four, help deliver a more authentic carriage house look. Deception never looked so good. Click the Amarr Logo below to view more collections on their site. 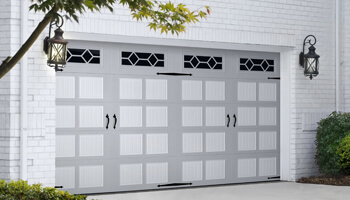 The most noticeable architecural element of your home is probably your garage door. Today, many homes are designed with the garage door (or doors) facing the street or main entry. This means your garage door is one of your largest opportunities to improve your home's curb appeal. 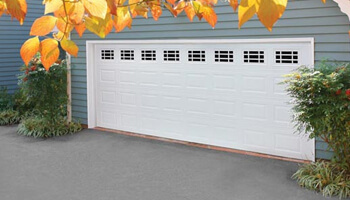 Replacing your old worn-out garage door with a new garage door can drastically improve the look of your home. In fact, having a beautiful new garage door installed can do almost more than any other improvement to dress-up the exterior. And, in many cases, adding a modern great-looking garage door can boost the resale value of your home!